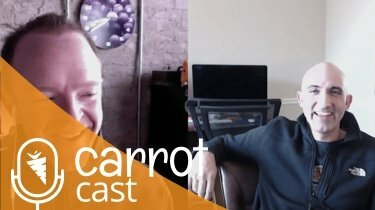 100+ Deals This Year Turning Other Peoples DEAD Leads Into Deals / Tang Nguyen and the "Odd Brothers"
About a year ago, we connected with a new member here at Carrot, and he’s one of the most passionate, action-taking, just hustlers, that you’ll find out there. You’re going to be hearing about some of that marketing here on this call, but that’s not the end story. When I was down in Dallas a few months ago, I met him and his two business partners, and since the time I’d first met him, about a year ago, he formed a partnership with two other local investors. Since then, they’ve really scaled up their business in a big way, and they’ve done it by carving out a niche to where they can close deals that most other investors in their market can’t. They have other investors sending them deals all the time that say, “Hey, we can’t figure out how to make this a deal,” and they make them deals. There’s one deal that he talks about on this podcast where the person was going through foreclosure. He was able to help save the house. They stayed in the house, and he gave them money, $20,000 or whatever it was, for her daughter’s wedding, and not just that, they’re going to end up making a really, really, really big payday at the end of this because they are creative with their deals. That was the deal that everyone else looked at and said, “There’s nothing here,” and he turned it into a $30,000+ payday and helped the seller in a big way, and that seller’s just eternally grateful. I want to introduce you to Tang Nguyen and his business partners with The Odd Brothers, Fred and Eric. Two amazing dudes, as well, and listen to their story. Be inspired by how they saw collaboration, not competition, with other people in their market. See how they’re being creative and thinking about deals in different ways. This is a collaborative industry. When you look at your competition as competition and not as a collaboration, that’s when it gets really, really hard. That’s when you’re out on an island by yourself. 1:25 – The perspective of the “Odd Brothers” Business model. 2:50 – What is their volume of deals right now and what type of deals are they. 4:40 – At what point did they decide to become partners and what it looks like now. 8:30 – Why it made more sense to combine forces rather than separately. 10:40 – What types of benefits they’ve found since partnering. 12:00 – Their breakdown of the mix of deals and their #1 strategy for now. 16:00 – WILD DEALS AND HAVING FUN. Where the name “Odd Brothers” came from. 20:00 – Enjoy who you’re serving. How and why they’ve built a business around caring and building rapport. 24:00 – How they structured on of their most recent “odd” deals. Serving the client and following their core values. 29:50 – Another example an “outside-the-box” deal. 32:00 – Do most of their solutions tend to be Sub-2 deals. 34:45 – How often they get leads thrown there way because others can’t do anything with them. 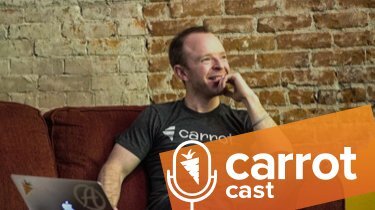 36:40 – Breaking down their lead generation. Where they’re getting the most leads and where has slowed a bit. 41:55 – What they’ve struggled with as partners and what advice would they give others. 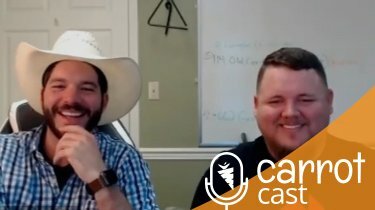 47:15 – What market are they currently seeing in Dallas and will they change their strategy.